What software is most effective at achieving my goals? Managers often make their decision on CRM programs based on what someone else tells them they need. There are a lot of great features to choose from. Some CRM products are strong in a few areas and perhaps weak in areas vital to your customer retention. Before you begin comparing the vast array of CRM products available, determine the primary issue it needs to solve for you. Be sure anyone involved in the decision-making process has a clear understanding of your company’s business plan and customer management needs. Some of your key people may not be tech-savvy or even interested in taking the time to learn a complex CRM system. There has to be some balance. People must adapt to and incorporate technology into how they work. 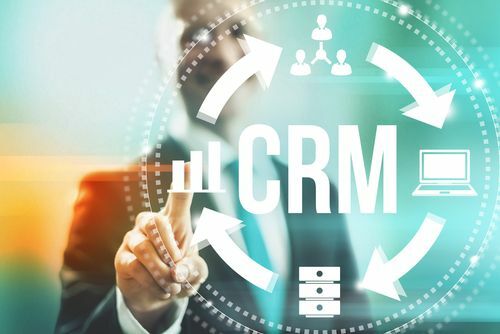 However, for you get achieve optimal utilization of your CRM software, it needs to be easy to implement and use by your salespeople, customer service agents, and all pertinent members of your team. Find a way to involve your salespeople and other end-users in the selection process. The more comfortable they are with the new system, the more likely they are to gladly adopt and fully utilize it. Does it include automated marketing? Do you need your CRM to include things like email marketing campaigns, mailing out birthday cards and other relevant marketing touchpoints to nurture your contacts, past customers and referral partners? Be sure to include this as one of your requirements if you are looking to generate leads from your database and keep in touch with people. The primary purpose of your CRM software is to help you form stronger personal relationships with your customers.